My books of the year. These are the not the best books of the year. These are my best books of the year; that is, the books I read and enjoyed the most. Some of them weren't published this year. Also, having a book out myself and reading wildly different reviews for it (sometimes you'd think people had actually read different books) I am fully aware of the subjectivity of reading. I'm not reviewing these books. I'm simply giving them a little bit of the praise they deserve, and pointing my readers in the direction of books they might themselves enjoy. If you are buying Christmas presents this year, please think about buying books. The above list is a good place to start. The year was 1979. I was nine years old. My father gave my brother and me a book. 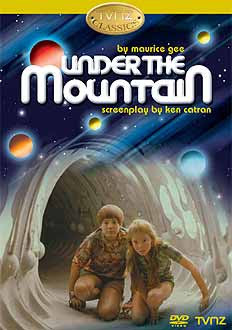 It was called Under the Mountain, and it was set in the city we lived in. We both read it - devoured it more like - and were transported to the mysterious and dangerous world beneath our own. 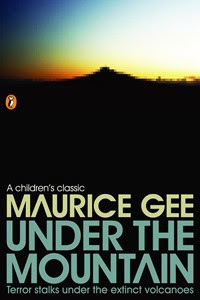 It's the story of twins Rachel and Theo, and the enigmatic Mr Jones, who fight the slimy, creepy Wilberforces who sleep beneath Auckland's volcanoes and plan to take over the world. They must harness the power of their twin-ness to triumph. I loved it. I yearned for an adventure to happen to me. Then, shortly after, I was given the opportunity to audition for the part of Rachel in the TV series. My dream come true! Drama was my strong suit at school, and I longed to be on TV, convinced that child actors in NZ were terrible and I was just the girl to make it all better. I was sure to get the part, after all, I had the right name and everything! Alas, it was not to be. My brother Jonathan, three years older, also auditioned, and along with our friend Sarah, we had to come up with a mimed scenario to show off our acting talents. I had some vague idea about a kid being bullied on the way to school, but it was vetoed in favour of a gunfight. None of us got the parts, but Sarah later went on to star in another New Zealand children's TV classic, Children of the Dog Star. My brother went on to play Theo in the Radio New Zealand version. I went on to... write books instead. 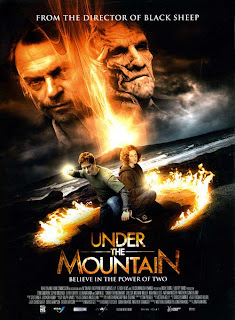 Under the Mountain, the TV series, spooked a generation of NZ kids. But that's not all my brother went on to do. He has now directed the feature film of Under the Mountain, which premieres this Saturday night in Auckland and which opens nationwide on Thursday the 10th. Go and see it in the opening weekend if you can, to ensure it gets a long screen-life. Go and see it if you have read the book, or seen the TV series, or go and see it just because you can. See volcanoes erupt! See slimy creatures and a creepy old house on Lake Pupuke! See a great homegrown supernatural adventure. Spare a thought for a nine-year old girl whose dream didn't quite come true but who is very glad that her brother's did. The Sound of Butterflies was the title of my first novel, published in the UK by Picador, in the US by William Morrow and in New Zealand by Random House, and translated into eight foreign languages. 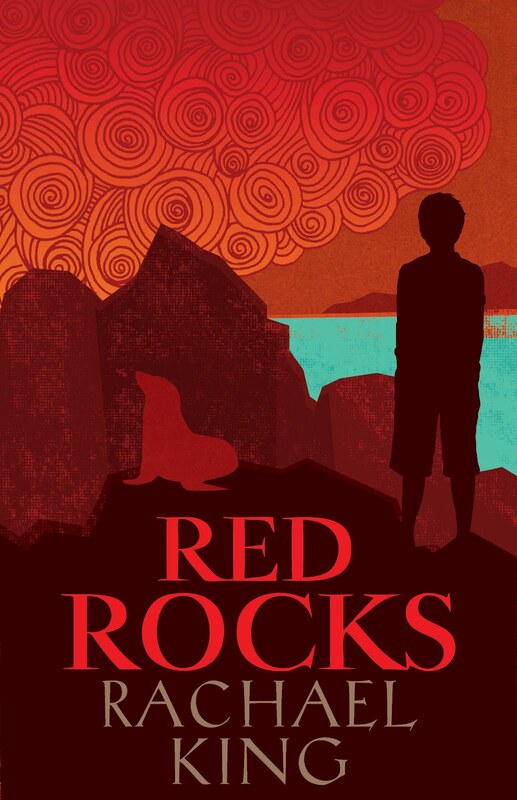 In 2009 my next novel, Magpie Hall, was published in New Zealand by Random House, and in 2012 my first novel for children, Red Rocks. This blog is my thoughts on the world of writing and books. Photo by Sharon Blance. For more information about me and my novels, including reviews, excerpts and interviews, please visit my official website at www.rachael-king.com. 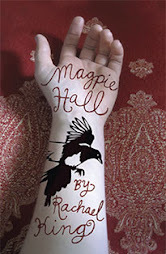 Magpie Hall out now. Click image to buy. US paperback out now. Click image to buy! Red Rocks out now. Click image to buy. I've moved! Blogs, that is. Everything you need to know about upping sticks.